Tumbling Glory uses the Single Strip Tumbler ruler by Creative Grids. 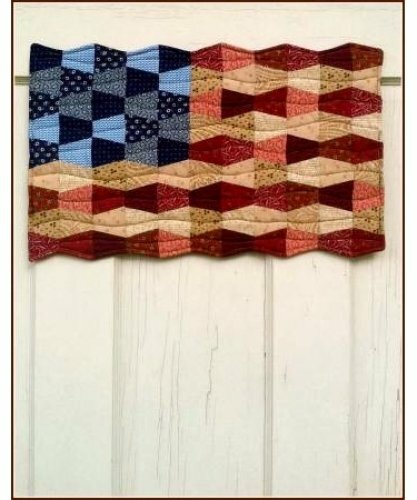 This wall hanging would be a great addition to your patriotic decor. It uses Creative Grids Single Strip Tumbler Ruler, and is strip friendly. It will only take approximately 2-6 hours to complete. It would also, make a perfect gift for that Veteran or Active Duty person in your life.